Having established your interest and aptitude and knowing your strengths and weaknesses, next you need to know the various career options available to you. You may go through career-oriented literature which is now available in plenty in the form of career directories. Today, there is virtually a career guide available for any field you want to join. SAP has brought out a large number of career directories. The fields covered include management, computer, electronics, distance education, medical, engineering, biotechnology, foreign languages, agriculture, civil services and so on. There are separate volumes available for career guidance of students completing school and college education, "Openings After School Education" and "Openings for Graduates" respectively. These career directories do give comprehensive career information about institutes, courses, eligibility, important dates, information regarding syllabus for various entrance exams etc. 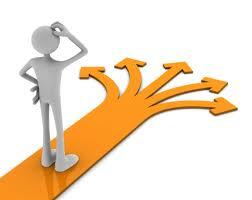 Alternatively, you may also consult one of the career counselors and plan your career judiciously. Most schools, whether government or private, have career counselors to guide students to plan their career well in time.